There are tax benefits and matching grants available to Maine taxpayers who invest in a NextGen college savings plan. Too many Mainers who could qualify for the NextGen matching grants are leaving that money on the table. There seem to be an especially large number of families in the Lewiston-Auburn area who aren’t taking advantage of the NextStep matching grants. At 50% of the first $600 (see below for details) these grants are too good to pass up on. The NextGen Plan is Maine’s version of the 529 plan. A 529 plan is a tax-advantaged account where after-tax money can be invested now, grow tax free, and then be withdrawn free of tax or penalties if the proceeds are used for qualified higher education expenses. If the value in a 529 plan is used for other purposes, then the earnings from the account are subject to taxes and penalties. A 529 plan has an account owner who is the person who opens and funds the account, and a beneficiary who is the future college student the account is for. It’s generally best for the account owner to be the beneficiary’s parents because the financial aid formulas used by most colleges provide favorable treatment to 529 plans owned by parents, but very unfavorable treatment to withdrawals from 529 plans owned by other people. As we’re now in the final months of 2016, a NextGen contribution can make an outstanding gift idea for any Maine residents who are likely to attend college, and even for some non-Maine residents with Maine connections. Contributions to NextGen accounts are a particularly good gift because many accounts receive matching contributions that leverage the value of the gift. They can also provide a small Maine income tax benefit on the donor’s tax return. 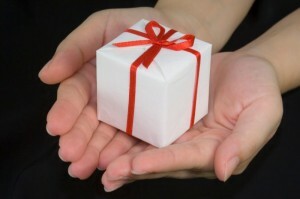 The three biggest reasons why NextGen contributions are such great gift ideas are all free money. NextGen accounts owned by Maine residents or for Maine beneficiaries are eligible for three kinds of grants, funded by the Harold Alfond Foundation. There are grants for opening an account, annual matching grants, and a grant for funding the account through automated transfers. New accounts can be eligible for either a $200 Initial Matching Grant or a $500 Alfond Grant. There is only one Initial Matching Grant or Alfond Grant allowed per beneficiary, even if multiple accounts are opened for one beneficiary and even if the accounts have different owners. The $500 Alfond grant is available to anyone born as a Maine resident since 2013. Before 2013, the Alfond grant was only available if a NextGen account was opened for the child before his or her first birthday. The $500 Alfond Grant is also available to children who were not born Maine residents, but became Maine residents before their first birthday. Children who aren’t eligible for the Alfond Grant but who are Maine residents or beneficiaries of accounts owned by Maine residents may be eligible for a $200 Initial Matching Grant instead. To get the Initial Matching Grant the beneficiary can’t have previously been the beneficiary of a NextGen account and the new account needs to be opened and funded with at least $25. The automated funding grant is a one-time $100 grant available regardless of when the account was opened. Either the owner or the beneficiary needs to be a Maine resident. An account receives the Automated Funding Grant after it has been funded by six consecutive automated contributions, made at least quarterly. The NextStep Matching Grant is potentially the most generous of the NextGen grants, and it has recently been made even better. Previously, the NextGen matching grant would provide a 50% match on the first $200 contributed to NextGen accounts for a beneficiary in a year. For 2015, that amount has been increased to 50% of the first $600 in contributions for a NextGen beneficiary in a year. This means that the grant is worth up to $300 per beneficiary, each year. For more information about opening an NextGen account and the NextGen grants, go to www.nextgenforme.com or www.500ForBaby.org. This post is for information only and anyone planning to open a 529 plan to receive these grants should read the full terms and conditions on the NextGen website. While the money invested in these accounts can generally be withdrawn (subject to tax and penalties0 for non-education purposes or transferred to a different beneficiary, or transferred to another state’s 529 plan, doing any of these things will result in the loss of the matching grants. While nowhere near to as generous as the NextGen Matching Grant, Maine Income Tax law also provides a small incentive for funding a 529 plan. The first $250 a taxpayer contributes for a beneficiary in a year is deductible on the Maine income tax return. With a maximum tax rate of 7.95%, 529 plan contributions can provide up to $20 in state tax savings per beneficiary account funded. This may not be enough to motivate a contribution, but it shouldn’t be overlooked if one is made.